Coming June 16, 2018. Head to the “Chosen Spot” this weekend! 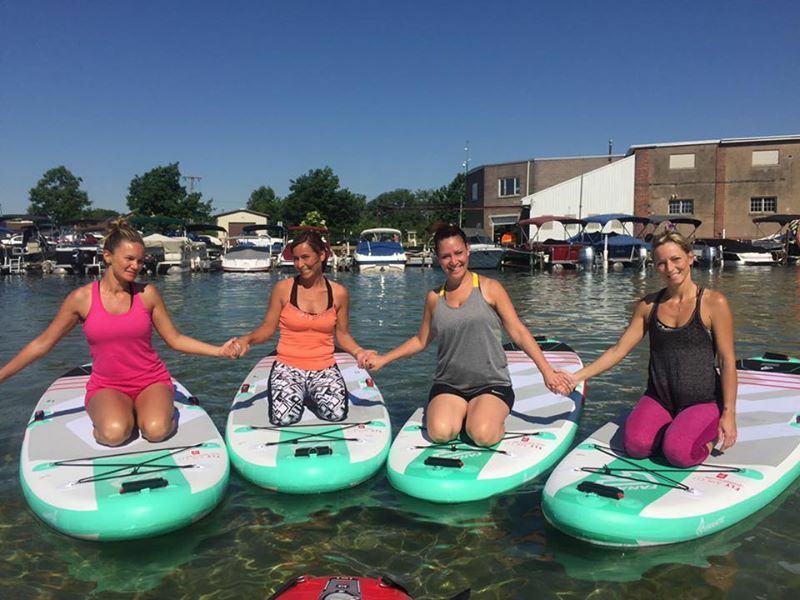 Canandaigua Lake, “Chosen Spot” in the native Seneca Indian language, is the sight of the Learn to SUP: Beginner Workshop from the folks at Finger Lakes Yogascapes (FLY). Just outside of Rochester, New York, this lake is a beautiful and relaxing setting for some yoga, first on shore, then on SUP boards on the shallow, calm waters. Not to worry though, this class is aimed at those new to SUP with a focus on getting comfortable on your board, basic poses like being on all fours, and eventually a few standing poses. FLY offers a quick intro to SUP in a supportive and encouraging environment for women.